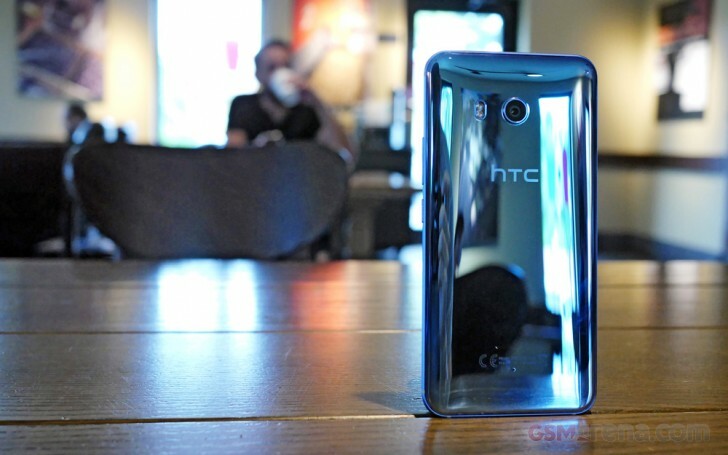 Today’s report comes from HTC Source who reports that a trusted source claims the HTC U12 might have design elements from the HTC U11 and U11+: two pieces of glass with a metal frame sandwiched between. Like the U11+, we can expect a rear-mounted fingerprint scanner and dual camera system. Given that HTC has messed with dual camera phones in the past (HTC EVO 3D and HTC One M8) it will be interesting to see if HTC will go into a different direction with dual cameras or if it will follow other OEMs. We also wonder if the U12 would have dual front-cameras like the U11 Eyes. The hardware design might evolve a bit from what we’ve seen on the HTC U11’s liquid glass design. And while specific details about the design are still tight-lipped, there may be a new matte white glass finish on the HTC U12. HTC did extensive research to make the beautiful Liquid Glass design that we saw on the U11, so we wouldn’t be surprised if HTC was cooking up an innovative glass coating that sets it apart from others. The most durable matte finish would ideally be made of ceramic, but we know that ceramic is not as easy as glass to work with on a massive manufacturing scale. Here is a list of alleged specs of the HTC U12 that was tweeted by a leakster a couple of days ago. The phone is rumored to launch sometime in April and if last year’s U11 launch is anything to go off of, the event may be taking place in HTC’s headquarters in Taipei, Taiwan. We really hope that HTC can be a fierce competitor against the Samsung Galaxy S9. HTC is unique, Samsung copycat. Sony already use the white color for it Xperia XZ2, just no get patents..